There were an estimated 21 deaths in Manchester , 18 in Birmingham, 17 each in Bristol, Lambeth and Liverpool and 15 in Camden in 2017. The ONS said: “The rate of deaths per 100,000 population in the most deprived tenth of local areas in England was 9.2 times that of the least deprived tenth. 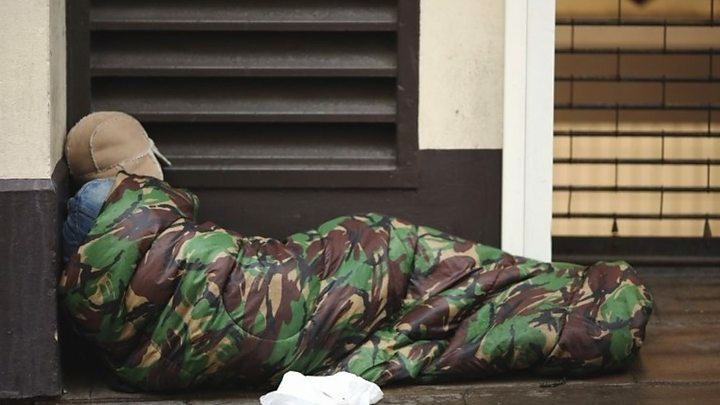 The number of people counted or estimated to be sleeping rough in England fell slightly in 2018 for the first time in eight years .